Jackson Galaxy is a partner and will be giving the keynote at the inaugural Cat Camp. He is the host of Animal Planet's My Cat From Hell and two-time New York Times best-selling author with 20+ years of experience helping humans understand cats and helping cats find their mojo. Learn more about Jackson Galaxy or his non-profit, Jackson Galaxy Foundation. 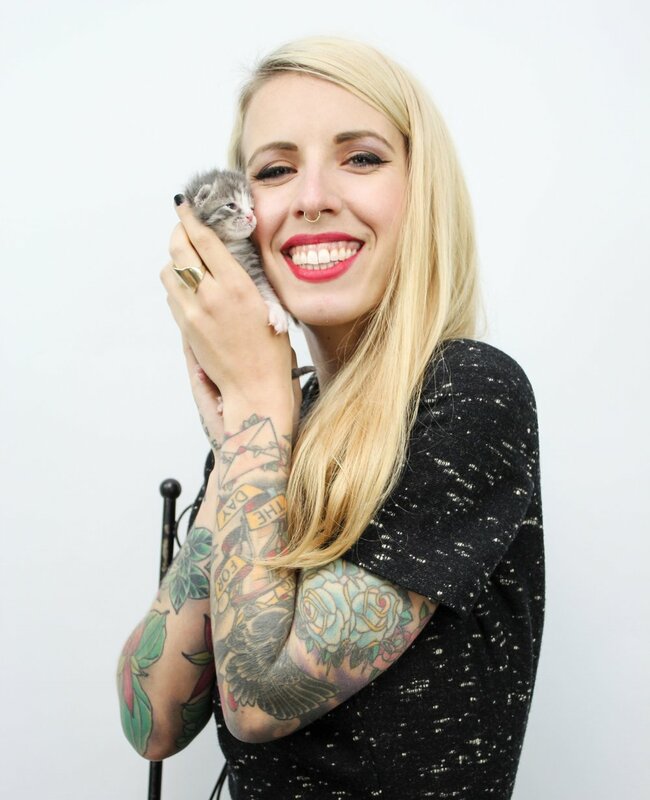 Hannah Shaw is founder of the rescue and advocacy project, Kitten Lady. Shaw is known for her inspiring and educational videos, photos, and resources about how to save the lives of kittens. She has rescued hundreds of orphans, and trains shelters and individuals around the world about innovative approaches to animal protection. Shaw's personal mission is to create a global change in the way we perceive and treat animals--especially the tiniest felines--orphaned kittens. Andrew Marttila is professional animal photographer best known for his captivating images of felines. He reaches hundreds of thousands of cat lovers through social media where he documents his travels promoting shelters across the country, taking photos for clients, and snuggling his cat, Haroun. Andrew's photography has been featured in Catster, Vanity Fair, Real Simple, and The Guardian, and on CNN and MSNBC, among others. Andrew is the photographer behind Shop Cats of New York and Cats on Catnip. He lives in San Diego, CA. Ingrid King is the award winning author of five cat books, including Buckley's Story: Lessons from a Feline Master Teacher, Purrs of Wisdom: Enlightenment, Feline Style, Tortitude: The BIG Book of Cats with a BIG attitude, and Adventures in Veterinary Medicine: What Working in Veterinary Hospitals Taught Me About Life, Love and Myself. She is a former veterinary hospital manager. Her popular blog, The Conscious Cat, is a comprehensive resource for conscious living health, and happiness for cats and their humans. The Conscious Cat has won multiple awards, including DogTime Media's Pettie for Best Pet Blog in 2011, 2012, 2013, and 2014, and About.com's 2012 Reader's Choice Award for Best Website About Cats. Ingrid lives in North Virginia with her tortoiseshell cats Allegra and Ruby. For more information about Ingrid, please visit www.ConsciousCat.com. 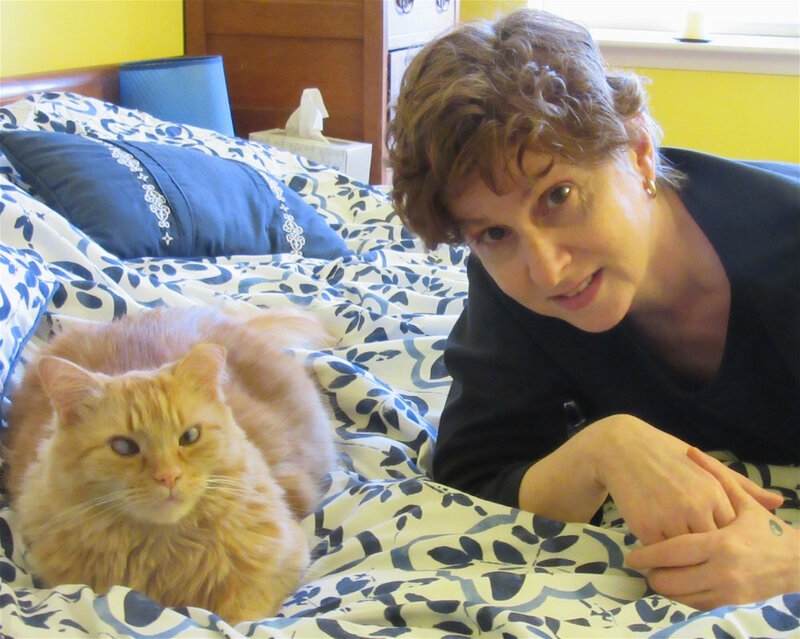 Beth Adelman, MS, is a cat behavior consultant in New York City. She lives in Brooklyn with her husband and three well-trained cats. She is on the Cat Committee of the Pet Professional Guild, and is the former editor of Cats magazine and DogWorld and former cat columnist for the New York Post. Beth has worked as a writer and a speaker for the Winn Feline FOundation. She has also been a speaker at New York's Meow Parlour, the Cat Writers Association, the International Association of Animal Behavior Consultants, Kuztown University, Pet Sitters International, the Garden State Cat Club and the Cat Fanciers Association, and a guest on a variety of radio shows. Mikel Delgado has been helping humans understand cats for almost twenty years. She is the co-owner of the cat behavior consulting business Feline Minds, and previously worked as a cat behavior specialist at the SF/SPCA. She is especially passionate about improving cats' lives through play and enrichment! Mikel received her PhD from UC Berkeley, where she studied animal behavior and the human-animal relationship. She is currently a postdoctoral fellow at the School of Veterinary Medicine at UC Davis, researching the social and developmental behavior of cats. Mikel is co-author with Jackson Galaxy of the recent book "Total Cat Mojo," and she blogs about cats and science at catsandsquirrels.com. Will Zweigart is the founder of Flatbush Cats, an all volunteer TNR group working to reduce the feral and homeless cat population in Brooklyn and beyond. He's focused on inspiring and empowering more people to support local rescue efforts through TNR, fostering, and colony management. A true born and raised New Yorker, Lee Domaszowec founded PhoenixFireSC after working in the animal welfare, non profit, and operations world for many years. The goal of PhoenixFire is to help passionate people change the world, faster. Lee brings a unique perspective to animal welfare, having extensive experience in both the for profit and non profit worlds. He has traveled extensively across the country visiting dozens of shelters, participated in many large scale adoption events, and worked with countless rescues. As a development professional, Lee is an expert in acquiring and managing the funding necessary for our lifesaving work. He is personally passionate about animal welfare and still fosters and volunteers with a number of organizations. Sassee is from the Brownsville area in Brooklyn, NY. She currently resides in one of the NYCHA's buildings in Canarsie. She has loved animals all of her life, especially cats- she's always had them growing up and they lived until 17/18 years of age. She is now a regular trapper and she practices TNR in the rougher neighborhoods in Brooklyn. After seeing the cats outside, she decided to "walk the talk." She is proud to say that she changes a life almost every day and she does TNR for a lot of elderly feeders, people with no money, homeless shelters, nursing homes, etc. Not a week goes by where she does not trap. She is one of the featured stories on The Cat Rescuers - a Documentary Film. A Licensed Veterinary Technician since 1996 and working exclusively with the feline patient since 2002, Ellen(The CAT LVT)has seen how cats were poorly cats are treated and how they should be treated in veterinary medicine. She currently resides at NOVA CAT CLINIC in Arlington, VA and runs the Chris Griffey Memorial Feline Foundation, a 501c3 dedicated to the critical feline neonate and pediatric cases. Lecturing on the veterinary circuit, she believes the veterinary hospital should be transparent and honest with the care given to the feline patient no matter the age. She has been featured in “AAHA Trends Magazine” and “Today’s Veterinary Nurse” as well the social media news “LOVE MEOW “and “The DODO “with her work on saving critical kittens instead of euthanasia. You can catch her on Instagram with her sidekick, Benedict Cumbercat, the CATEGO® Speedy Cat sharing her success stories and life in feline medicine. Louis Lotito is a founding member of the non-profit organization TNR Utopia which focuses on the Trap-Neuter-Return [TNR] of community cats in North Queens, NYC. In addition to TNR and rescuing kittens and tame cats, TNR Utopia educates others about living with community cats, helps caretakers with colony management and supports newly TNR certified people with getting started. For more information about Louis and TNR Utopia, please visit www.tnrutopia.org. Caitlin has loved animals her entire life and although she is allergic to almost all of them, it never stopped her from immersing herself in their world. She has years of experience in handling and caring for animals of all shapes and sizes – horses being her very first true love. Rancho Relaxo was the best accident she has ever been a part of. What started as an attempt to have her rescued wild mustang, Halona (pictured), in her backyard turned into a massive mission to help so many animals in need. She also adopted a completely compassionate lifestyle for herself. All of her time is spent caring and advocating for animals. Caitlin was the very first volunteer to jump onboard at Rancho Relaxo and has since become the coordinator of both volunteers and events. She recalls having to unfollow Rancho Relaxo on social media at one point due to not being ready to see the images and videos of the poor helpless animals going to slaughter. 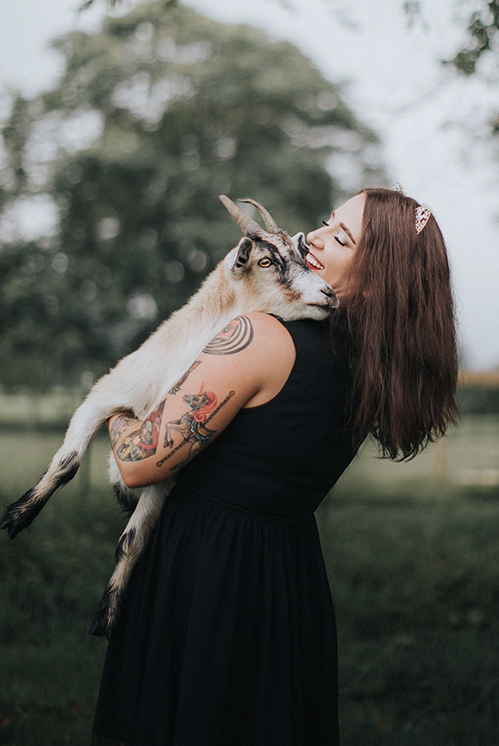 It wasn’t until she took in her first four goats that she started to make the connection and completely understand why it was important to give animals a voice. She watched her uncle admire snakes growing up, which continues to motivate her to love and respect all animals – not just the cute and cuddly ones. Leonard spent nearly a decade in college studying physics and mathematics. He is a perfect example of unpredictability. The path we end up taking is not always the one that we envisioned for ourselves. After reconnecting with Caitlin, the founder of Rancho Relaxo, Leonard came to realize how imperative it was to advocate for animals. He recalls the very first rescue he was involved in: Pepito, a miniature donkey who was bound for slaughter before Rancho Relaxo intervened. During that rescue, Leonard knew that his life was about to change drastically and he wasn’t going to try to fight it. Ryane reached out to Rancho Relaxo years ago, asking if she could do a “trash the wedding dress” photoshoot with the animals after her wedding in Alaska. Although this particular photoshoot never ended up happening, Ryane did become a bigger and bigger part of Rancho Relaxo as time went on. After some training, she became an animal caregiver. From there, she started heading up offsite events. Shortly after that, she was voted into the position of Secretary of Board. Ryane is constantly doing every possible thing that she can for the animals and the mission at Rancho Relaxo. Dr. Ann Hohenhaus is a veterinarian at the Animal Medical Center (AMC). She is a third-generation veterinarian who is double board-certified by the American College of Veterinary Internal Medicine in both Oncology and Small Animal Internal Medicine. She is an avid blogger and has written for multiple media outlets including the weekly AMC blog and vetstreet.com. In 2014, Dr. Hohenhaus was honored by the Foundation for Biomedical Research with a DeBakey Award for Excellence in Journalism for “Dogs Go To Bat Against Lou Gehrig’s Disease.” Dr. Hohenhaus has also created content for publications such as Ladies' Home Journal and Real Simple. Dr. Hohenhaus is an active participant in AMC’s research mission and has written extensively in the veterinary literature. 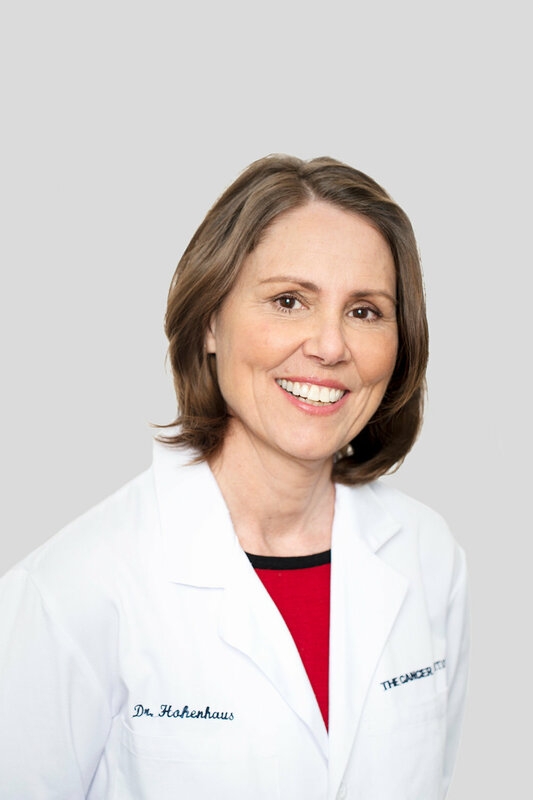 She is listed as an author on 37 publications in PubMed in the areas of oncology, internal medicine and transfusion medicine, including: squamous cell carcinoma, mast cell tumors, melanoma, exocrine pancreatic insufficiency, and anemia. She authored 19 veterinary textbook chapters and has a manuscript in press on feline anemia. Dr. Hohenhaus lectures nationally and internationally, most recently in the Kuala Lumpur, Malaysia and Capetown, South Africa. In her spare time, Dr. Hohenhaus raises foster kittens as a member of the ASPCA Foster Kitten Team. Kate Benjamin is the founder of Hauspanther LLC and editor of the popular cat style blog hauspanther.com. Hauspanther's mission is to spread the word about how good design can enhance the way we live with cats, improving our lives and the lives of our beloved feline companions. 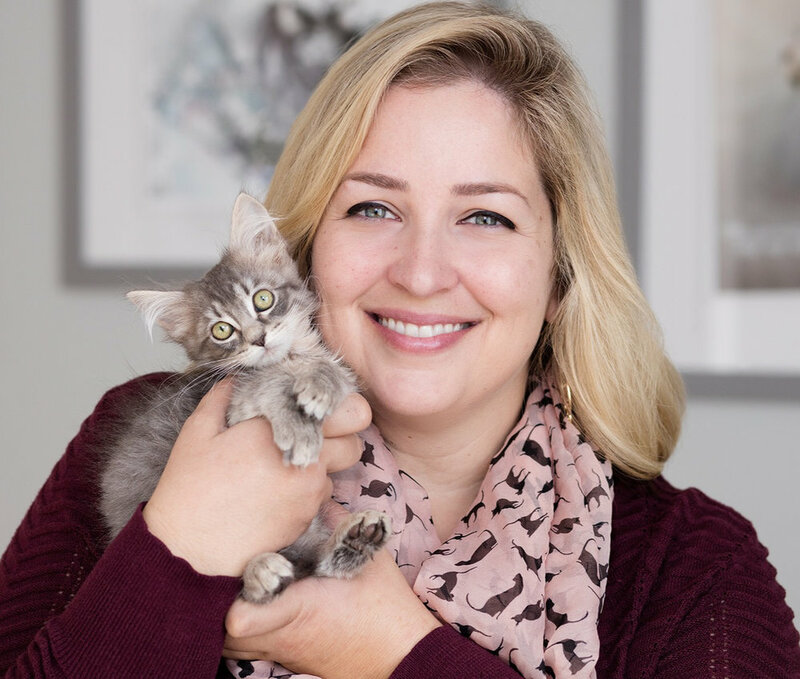 Kate specializes in helping people live stylishly with cats, bringing them product information and interior design tips to help Catify their homes. Kate also designs a line of innovative cat furniture in partnership with Primetime Petz. Kate has been interviewed as a cat style expert by The New York Times, The Los Angeles Times, USA Today, and CBS Sunday Morning. 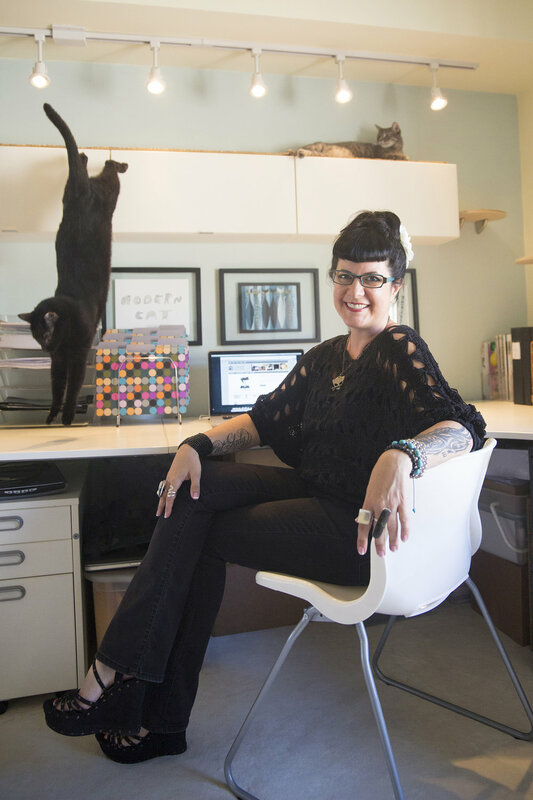 She makes guest appearances on Jackson Galaxy's hit show My Cat From Hell on Animal Planet and has co-authored two New York Times bestselling books with Galaxy, Catification: Designing a Happy and Stylish Home for Your Cat (and You! ), and Catify To Satisfy: Simple Solutions for Creating a Cat-Friendly Home. Isa began her career at the ASPCA in 2011 as an Animal Care Technician at the ASPCA’s Adoption Center. In 2014 Isa was promoted to Community Advocate in Community Medicine (formerly SNO) and in 2017 transferred to Community Engagement as a Coordinator. In both roles, Isa focused on helping community members in areas of New York City that lack access to services by connecting them with free pet wellness and support services. Her passion for helping people and expertise in strategic grassroots outreach has enabled her to build constructive partnerships with high priority social service agencies and community-based organizations on behalf of the ASPCA. In 2014, Isa received her TNR certification and began to trap-neuter-release-monitor several community cat colonies in the South Bronx in her spare time. Her love and dedication for outdoor cats has driven her to provide TNRM guidance and support to a network of volunteer cat colony caretakers in the South Bronx. In her new role, Isa will be responsible for delivering monthly TNR(M) Certification workshops to community caretakers who are interested in managing colonies in New York City. Isa will also serve as a point person for referrals from NYPD around feral cat issues. Isa will continue to develop our “Building Shelters for Community Cats” workshop with the NYPD Explorers, a program that provides youth with an introduction to careers in law enforcement, to teach them about the benefits of TNRM and engage them with opportunities to help their communities with animal welfare issues. Isa is one of the fluent Spanish speakers on the Community Engagement team and is highly skilled at community organizing and event planning. A lifelong New York City resident, she received her BS in liberal arts with a concentration in Legal Studies from State University of New York at Purchase College. Isa currently lives in the South Bronx with her significant other, four rescue cats and fluffy mutt named Gustavo.